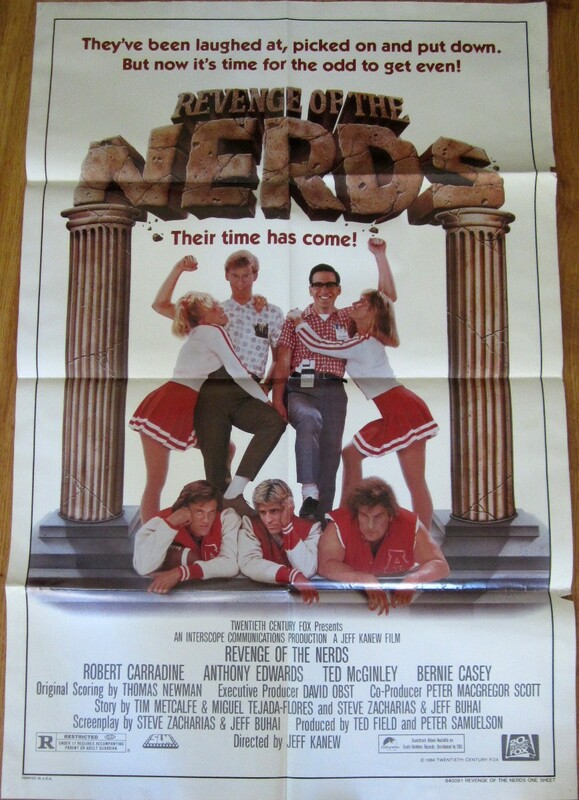 Revenge of the Nerds original 1984 full size 27x40 inch movie poster. Prefolded in eighths. Has corner pinholes, edge wear and other moderate flaws and wear. ONLY ONE AVAILABLE FOR SALE.